During my stay on the in-patient care floor, I learned all the new things I would have to do to manage type 1 diabetes and more importantly, stay alive. Testing my blood sugar, counting carbohydrates, and administering insulin shots were all to become part of my daily routine. I had just turned 14 years old, dreaded going to the doctor’s office, and hated getting shots. Now here I was, learning that I would have to give MYSELF shots. This isn’t just 1 shot a day. 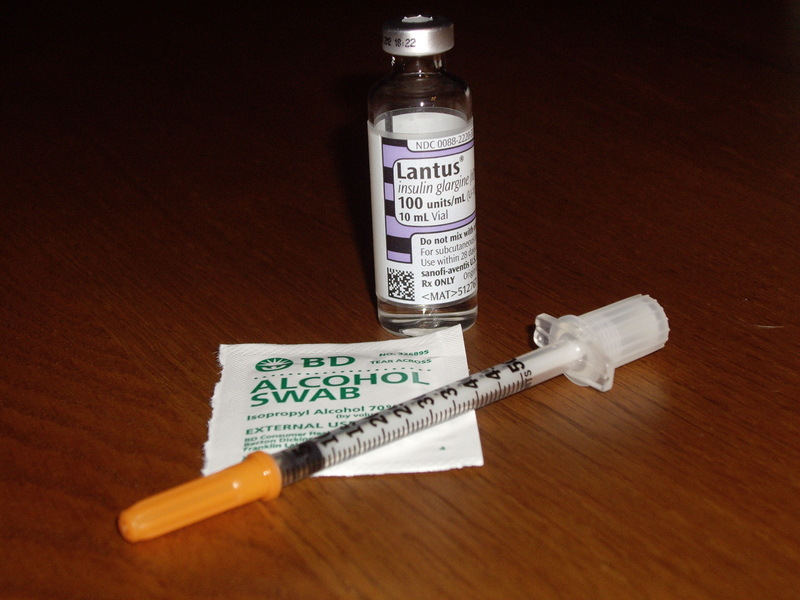 Short-acting insulin must be given every time I eat and one shot of long-acting insulin is given at night, for a total of 5 or 6 shots a day. The nurses taught my parents and I how to give shots and had us practice on oranges. Once we felt comfortable with the oranges, we had to give each other a shot, using saline. Then the ultimate test came for me: giving myself a shot. The first night I tried did not go well at all. I was going to give myself the shot of long-acting insulin in my thigh. The nurse handed me the syringe filled with insulin. I pinched up an area of my thigh and held the syringe a few inches from my thigh. Then I stopped. I just stared at the needle. Before I could even think or do anything, the nurse came over, put her hand over mine, and pushed that needle into my thigh. I was not expecting her to do that, and I was very upset because I wasn’t prepared. The next night I tried again. Same procedure as before except that I had a different nurse, and she was amazing. She let me take as much time as I needed to give myself the shot. She wasn’t going to do it for me like the other nurse had. When she handed me the syringe, I again just stared at the needle. I then began to cry and think thoughts such as this is not normal to give oneself a shot and how am I ever going to do this. It took a lot of soul-searching and almost 2 hours, but I finally put the needle in and injected the insulin. Every shot after that one became easier and much less time-consuming. I now do my shots as if they’re nothing. I learned that giving oneself a shot may not seem normal, but it had become MY normal.